The bank holidays are nearly upon us and we’ve got a Super S&S Spring Sale (yep, that’s a lot of S’s!) on all our 100% merino wool chunky yarns. Bag yourself a bargain now before they’re all gone! Our short bamboo needles are also on sale at £6 too. The question is, what will you knit with it? 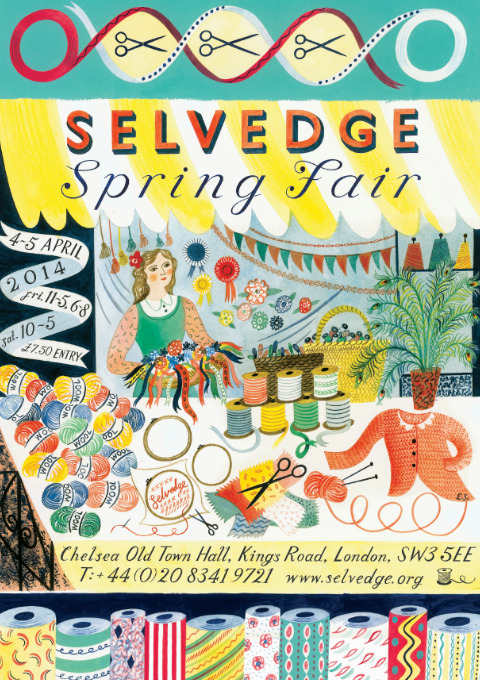 Selvedge Magazine are holding their annual Spring Fair at Chelsea Old Town Hall and Stitch & Story will be among the crowd and craftsellers. We will be holding exclusive discounts (up to 40% off all our knitting wares) so come along for all the fun of the fair! There will be a good mixture of jewellery, textiles and prints all created by individual designer-makers - perfect for all your craftsy needs. 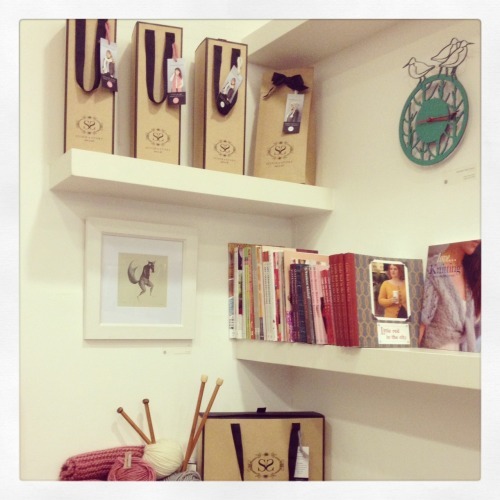 Our lovely stockist, Knit with Attitude, in Stoke Newington have displayed our knitting kits beautifully. They’re currently stocking our 100% bamboo knitting needles and a range of jumper and scarves kits - why not give them a visit if you’re nearby? 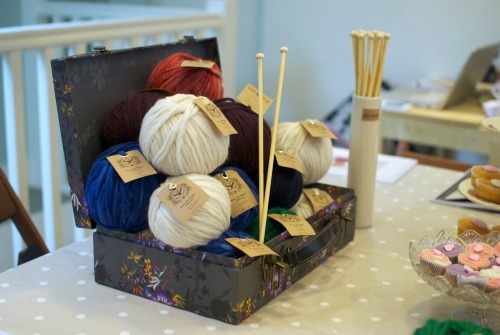 For one week only Stitch & Story have popped up at 213 Piccadilly Circus with our DIY knit kits and wool. You can find us right in the heart of the hustle and bustle of Piccadilly Circus, Central London, until 4th December. Come for a spot of Xmas shopping and crafting! 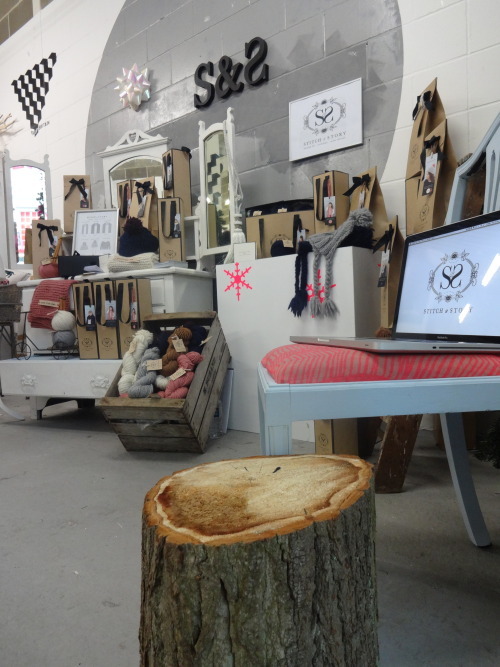 Trading amongst 9 other fab start-up companies in design, fashion, and giftware, there’s much to browse. We’re also holding a drop-in knit sesh so if you’d like to learn to knit in time for Xmas, come and speak to Jen & Jen in-store! Stitch & Story have teamed up with Wandering Boutique to hold a popup store at 55 Street Market, South London, sponsored by Somewhereto_. The event is to support young people taking over disused shops and spaces over the summer and turning them into great hubs to showcase talents, ideas, enterprise, and creativity. Come along and learn to knit with us from 10am-4pm tomorrow, we will be selling our yarns, needles, and knitted pieces amongst a whole host of great designer-makers including: toomuchtoot, Tada Notebooks, Gemma Goldstone, Zeke, Katie Betty J, LadyBird Likes, Raspberry Boutique, Esoteric.